These diabetic travel tips offer practical advice so you do not have to let your diabetes stop you from travelling - you just need to plan your travels with your diabetes in mind. There is no reason why you and your diabetes should not be able to go anywhere you want. Sure, you might have to plan your trip differently depending on where and when you are going to travel but the world is still your oyster. For example, high altitude, extreme heat, and humidity can sometimes affect meters and diabetes test strips, so beware aware of possible false readings in those circumstances. High altitude can also cause insulin to expand and contract, so you must make sure there are no air bubbles present when injecting. In hot climate, it is also important to keep your insulin cool and protected throughout your journey. If on active adventure holiday, you must consider what influence this extra exercise could have on your blood sugar level. You should also consider carefully the food you will have access to on your journey and so on. Learn as much as you can about your travel destinations in advance and prepare accordingly. That way all destinations are suitable diabetic travel destinations. Diabetes and insulin often go together so see your doctor well in advance to arrange all the necessary diabetes medical supply. Take twice as much insulin, syringes or pens, needles or tablets as you expect to need. Also, make sure you have enough spare blood diabetes test strips. Having extra diabetes medical supply is important in the event of any travel delays, as well as in the event if some items are lost or stolen. Furthermore, change in routine, like when on holiday, can give you slightly higher glucose reading, hence the need for extra supply. Insulin may also be absorbed faster in warmer climates. It is important not to forget any diabetes medical supply aids so Top Travel Tips has put together special Diabetes Packing Checklists that you can download and print. If you have travel companion, divide the diabetes medical supply between you. If you are travelling solo, do not keep all your diabetes supplies in one place. You may find having a special diabetes carry case is useful when travelling but always keep some emergency supplies separately. If you are flying then you will need a letter from your doctor, i.e. to allow you to take your diabetes medical supply on board the plane. The letter should clearly explain the necessity of carrying both insulin and injections equipments (syringes or insulin pump) with you. Actually, it is a good idea to have doctor letter even if not flying, especially if you are travelling with injection equipments. A list of all current medication, i.e. copy of up to date repeat prescription requests, makes also good sense. 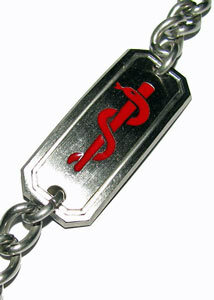 A diabetes identity card or diabetes jewelry stating that you have diabetes is also a good idea, whether you are travelling or not. You should always travel with your insulin in your carryon luggage. In order to take your diabetes medical supply on board the plane you need a letter from your doctor explaining clearly the necessity. Present the letter to the security staff and have your diabetes medical supply easily available for inspection. With your doctor's letter there should be no problem boarding with your insulin. However, it might still be worth checking the airline policy prior to travelling. The reason your insulin should not be in the check-in luggage is to protect it from damage as the cold temperatures in the hold of an airplane can cause insulin to freeze. If your insulin must go into the hold then is should be well insulated (ideally in airtight container) and placed as close to the middle of your suitcase as possible. You do not need additional cooling for your insulin if it is in your hand luggage. You just need to avoid extreme heat or cold. After your flight, examine the insulin carefully for any traces of crystals. If you find any, then you should discard the insulin and seek local insulin supplies. You need to show extra care when flying long haul or crossing time zones in order to make sure, you plan the timing of your injections correctly. Many prefer to keep their watch on their home local time, to make it easier to work out timing of injections and meals. Every traveler should have adequate travel insurance. However, everyone with pre-existing medical conditions, e.g. diabetes, must take extra care when shopping around for insurance policy and read the small print carefully. You must inform your insurance company about your diabetes and make sure their insurance policy covers you adequately. Failure to declare your condition can result in your insurance policy being invalid, a risk not worth taking. Your diabetic travel insurance should include cover for emergency transport home and recovery of charges if you need to replace insulin or injections equipments while travelling. There are many good Diabetic Travel Supplies available, aimed to make your travels safer and as comfortable as possible. For example, there is special diabetes and insulin cooler available, to help you to keep your insulin cool in warm temperature and on long journeys. There are also special diabetic socks available, but good foot care is very important, as all diabetics knows. Many airlines offer special diabetic travel meals. However, airline meal portions can be small and there can be long wait for the meal so it is highly recommended to bring suitable snack with you on board the plane. 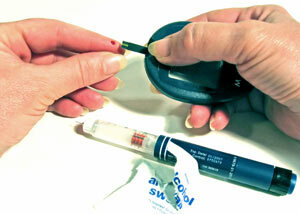 Keep testing your blood glucose levels and never neglect your insulin or other medication.